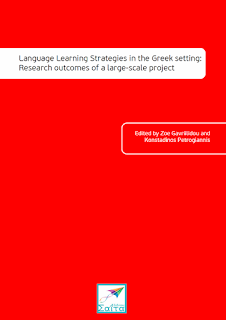 The papers selected for this volume explore Language Learning Strategy (LLS) use by upper elementary and junior secondary students attending public schools in Greece. These papers are elaborated versions of studies that were presented at the symposium “Language learning strategies in the Greek setting” that took place in the frame of AILA 2014 Conference, held in Brisbane (Australia) in August 2014. This book has been flying on the Internet since March 2016.